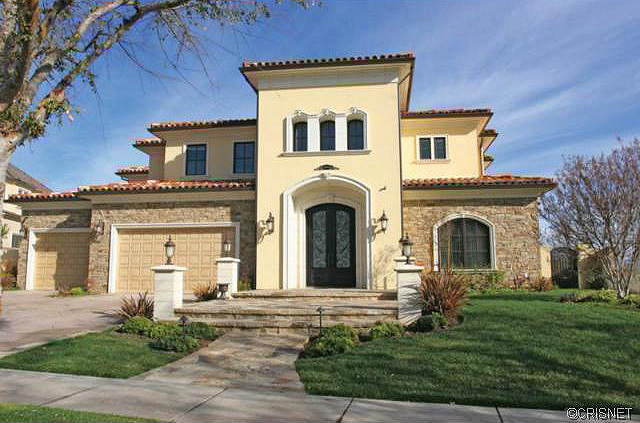 Prestigious Custom Westridge Italian Style Home with an Amazing View! As you enter this sophisticated & exquisite home you are at awe with the custom design and professional touch of this home. Formal Foyer with tall ceilings & beautiful chandelier. Enormous Family room with an extravagant custom fireplace & mantle w/coffered ceiling & tri fold doors that leads you outside. Entertainers Dream backyard w/a spectacular pool w/water features, Spa, Fire pit, BBQ area w/Stainless Steel appliances, and 2 covered patio areas. The Chef’s kitchen has mostly Viking appliances, Bosch dishwasher, and huge granite island. Superb Formal dining room w/crown molding & wine room. Some of the elegant features include Wrought Iron Spiral Staircase w/Marble Floors, Gorgeous tile floors downstairs, hardwood floors upstairs and crown molding throughout most of the home. Guest room downstairs overlooking the fabulous backyard plus a Living Room/Game Room, Office & Craft Room downstairs. The exquisite Master Suite w/Fireplace, crown molding, w/covered deck overlooking the panoramic views of the city. There are 3 Fabulous rooms upstairs each with their own bathrooms. Sound System throughout the home w/Security System w/Camera’s and so much more….